It is the exact colors of an astro-pop! Perfect for summer and the 4th of July. Oooh -- can;t wit to see what you are going to make with your new blank "canvas"! Thanks, I can't wait to dye it, it is SO soft! Sweet flying monkeys! 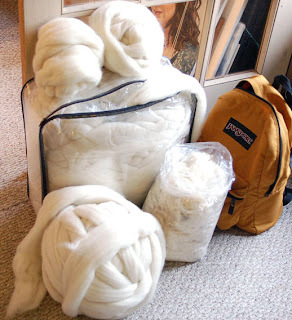 That is a lot of wool!!!!!!! (My mouth is watering right now!) Have fun with the spinning! 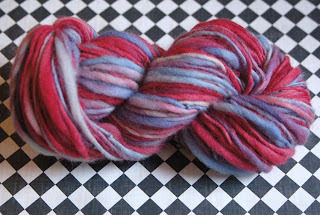 Oh, I made a blog-along type of thing that's called "Dye Your Fibers!" We would love it if you joined too, you're such a great dyer too! Here's the LINK. If you wanna join, just email me at: angelgirl_22@msn.com so I can send you the invite to the blog.